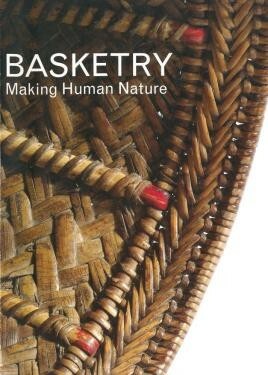 Unfortunately, due to sales rights restrictions, we cannot offer Basketry for sale in your country. Among the works were stunning shields from North East Congo and the Solomon Islands, fish traps from Cameroon, Ghana and Thailand, a colourful gorget from the Society Islands, Egyptian shoes, masks from the Salampasu of Angola and baskets from across the globe. The exhibition also included large-scale basketry such as a reed boat from Lake Titicaca in Peru, a fishing weir from Papua New Guinea and a woven architectural wall panel from Guy's Hospital in London by artist Thomas Heatherwick. The exhibition featured new commissions and works by artists responding to the gallery spaces and the themes in the exhibition, showing how basketry is being used today. Spectacular contemporary art and design by leading artists including Dail Behennah, Mary Butcher, Ueno Masao and Lois Walpole was on display. Many weaving techniques were used to create designs ranging from simple geometric herringbone twill to the most complex sculptural forms. The works were made from a surprising variety of materials including traditional willow and cane, wire and recycled plastic. Other objects showed the application of basketry designs for ceramics, glassware and caving.